During the 1990/1991 Crisis, Saudi Arabia played the role of a big brother towards Kuwaitis by providing them with refuge, protection, and support. The Saudi position was not surprising as both Saudi and Kuwaiti ruling dynasties have a history of mutual support. This was facilitated by the fact that both of them have several common characteristics. First, they descend from the same Nejdi Anaiza tribal origin. Second, they established their rule, at the beginning of the 20th century, as allies to Britain against the Ottoman government before and during World War I. Third, they have enjoyed access to huge amounts of money from oil revenues. Finally, They have faced serious similar internal and external challenges to their existence because of their wealth and their rule. These common characteristics and concerns will be investigated in order to show the background of the cooperation between the two ruling families. The chapter starts with a historical background about the relationship between Al-Sabah and Al-Saud dynasties, with an emphasis on Wahabism. This fundamentalist movement played a major role in the establishment and the spread of the first as well as the modern Saudi states. As a result, it has influenced the relationship between the two royal families. While the 1927-1930 Ikhwan revolt posed a threat to both families, the 1979 Makkah revolt represented a revival of fundamentalism, not only in Saudi Arabia but also in neighboring countries. The chapter also investigates the demographic challenge as another similarity between the two governments, particularly how they have addressed the problem of the increasing foreign workforce. Opposition to absolute monarchy and attempts to introduce some reforms to the way the Saudi royal family rules the country are also investigated. Finally, the chapter ends with an analysis of the Saudi foreign policy during the second half of the 20th century. The objective is to show how Saudi Arabia came to take the position it took following the Iraqi invasion of Kuwait. While Al-Sabah shaikhs were loyal subjects of the Ottoman government in the 18th and the 19th centuries, Al-Saud Amirs were considered rebels by the Ottoman Sultan. This cost Saudis their rule over Nejd, twice: first when their territory was conquered by the Egyptians in 1818, second when the Rashidites became the rulers of Riyadh, in 1891. Thus, while Al-Sabah family was pro-Ottoman, Saudis were not. As a result, Kuwait endured successive attacks from the Nejdi tribes, which were loyal to Al-Saud in the 19th century and the beginning of the 20th century. More important, these attacks were carried out with the religious enthusiasm that the tribal fighters expressed as members of the Wahabi movement. Wahabism started to spread in Arabia by mid-18th century as a result of the teachings of an Islamic scholar, a shaikh, called Muhammed Bin Abdul Wahab (1703-1792). He was appalled to see people ignorant of the teachings of their religion. Therefore, his major effort was to educate them about the essence of Islam as revealed in the Holy Qur=an, Koran, and the tradition of the Prophet Muhammed. In particular, he emphasized going back to the simplicity of the Islamic teachings. This meant that daily practices should be in harmony with faith. He adopted Imam Ahmed Bin Hanbal's methodology concerning Hadith, and was most influenced by the 14th century Hanbalite scholar, Ibn Taymiyah. Thus, he insisted on observing only the Hadith agreed upon by the Four Imams. While outsiders called followers of the Shaikh as Wahabis, they referred to themselves as Muwahidoon, Unitarians. The movement reached a turning point when Muhammed Bin Abdul Wahab arrived at Dir'iyeh, in Riyadh today, in 1744. The Saudi Amir, Muhammed Bin Saud (1725-1765), realized that he would benefit from hosting the Shaikh and his movement. Although Al-Saud family belonged to the Anaiza tribe, it represented a small and less powerful lineage of that tribe. Therefore, by holding an alliance with the Shaikh and his followers, the Saudi family would gain the ideological appeal that it needed to strengthen and extend its rule. For the Shaikh, the deal was also useful. He needed a protector and a secular apparatus that may assist in spreading his ideas. Before his death, Muhammed Bin Saud became an Imam, combining the two top positions of the religious and secular head of state, at the same time. The Shaikh became his mentor, religious advisor, and teacher of the movement. protection, just like what other towns in Nejd and Al-Hassa did at that time. Kuwait was rescued from the Ikhwan raids by that wall, a big cannon, assistance from a small group of Indian soldiers who were guarding the British trade center, and a British military ship in the Bay of Kuwait. Wahabi teachings were used to serve purposes of the Saudi state. People in rival territories were accused of not observing the essence of Islam. Therefore, they were considered as kuffar, infidels, whose blood and property were prizes for the true believers, the Ikhwan. There had to be a physical separation between the true believers and the infidels. Therefore, the Ikhwan left their original territories and migrated to new settlements, hijrat, to prepare themselves to attack the kuffar. This was how the Nejdi fighters were persuaded to attack even residents of the holy places of Makkah, Medina, and Karbala, at the beginning of the 19th century. Moreover, they denied Egyptian and Syrian pilgrims access to the holy sites, citing purely religious reasons. They contended that the processions that entered the holy places from these regions were not Islamic. result, the Saudi Amir, Abdullah Bin Faisal, was appointed as a qaim maqam (deputy governor for that territory). Thus, Al- Hassa became related administratively to the governorate of Baghdad, as Kuwait was related to the governorate of Basra. The Egyptian and Iraqi military campaigns against the Ikhwan fighters relieved Kuwait from their attacks. By the 1860s, Kuwait even served as the main port through which Nejd exported several products to India, such as horses, sheep, and wool and imported rice and clothes. However, a major consequence of these campaigns was weakening Saudi control over the Arabian Peninsula. This gave Britain the golden opportunity it was looking for to extend its control over the coasts of the Arabian (Persian) Gulf. In 1819, the British launched a military campaign against Ras Al-Khaimah. The ruler, Shaikh Hassan Bin Rahmeh Al-Qasimi, was forced to accept the British occupation, which they described as "protection," in 1920. By 1841, all other shaikhs of the Gulf coast had to accept the British protection, too. Without Saudi support, they found themselves helpless in resisting the British control of the region. By the end of the 19th century, Saudis lost their rule altogether. In 1887, the Rashidites (Al-Rashid family and its followers) captured Riyadh and took the Saudi Amir, Abdullah Bin Faisal, as a hostage in their capital, Hayil. When he died in 1889, his brother Abdul Rahman became the nominal Amir. However, he was forced out of Riyadh by its Rahsidite governor, Salem Al-Sabhan, in 1891. Abdul Rahman and his family headed first towards Bahrain. Then, they left to Kuwait which they reached in 1893. There, they were well-treated by Shaikh Muhammed Al-Sabah and the Ottoman government which provided them with a monthly salary of 60 golden liras. During his stay in Kuwait, the young Abdul Aziz Bin (son of) Abdul Rahman was an admirer of Mubarak Al-Sabah, who had become the Shaikh of Kuwait after killing his brothers, in 1896. He attended his daily majlis, audience, and developed a strong relationship with him. Abdul Aziz used to address Mubarak as "Father," and Mubarak used to address him as "son." In 1900, Mubarak had to face the alliance assembled against him by Yusuf Al-Ibrahim, which also included the traditional enemy of Saudis, Muhammed Al-Rashid. He decided to strike first by attacking the Rashidite forces at Sarif. However, he was defeated and two members of Al-Sabah family, Hamud and his son Sabah, were killed in that battle. At the same time, Abdul Aziz Al- Saud marched on Riyadh to restore it from the Rashidites. When he heard of Mubarak's defeat at Sarif, he ended his siege of Riyadh and returned to Kuwait. In 1901, Abdul Aziz requested Mubarak's support for his second but successful campaign to restore Riyadh. Mubarak agreed and gave him thirty camels, thirty guns with their ammunition, and two hundred golden riyals. When Abdul Aziz reached the outskirts of Riyadh, he was accompanied by forty of his loyal followers. He entered the city with only twenty-three of them while the rest stayed in the palm-tree gardens outside Riyadh. Abdul Aziz achieved his goal by killing the Rashidite governor, Ajlan. The story is so interestingly related that it deserves to be mentioned. Ajlan had a wife whose house was about fifty yards away from the fort, across an open square. He visited her for half an hour or so after dawn prayers everyday. She was a relative of Abdul Aziz and was willing to cooperate with him. Abdul Aziz and his men entered her house by way of the roof. They reassured inhabitants of the house, the guards and servants, that nothing would happen to them if they remained silent until the dawn. Following his custom, Governor Ajlan emerged from the fort. Abdul Aziz awaited until he was half-way across the open square, then rushed out with his twenty-three men. Instead of standing to fight, Ajlan fled back to the fort shouting that the wicket gate be opened. The small wicket gate, which was only two feet high and two and a half feet from the ground, was opened. This allowed both Ajlan and his pursuers to enter. Abdul Aziz=s cousin, Abdullah Bin Jelawi, caught Ajlan by the leg, brought him down just inside the gate and killed him. Abdul Aziz, following immediately behind, struck off Ajlan's head with his sword and threw it down over the fort wall shouting: "Who is on my side-who? Your own Amir is back again among you!" With the gate held, Abdul Aziz called upon the fort garrison to surrender. They did and were soon followed by the inhabitants of Riyadh. Abdul Aziz sent the good news to his father, Abdul Rahman, in Kuwait, who came back to Riyadh and conceded to his son. Thus, Abdul Aziz became the new Saudi Amir and his rule was strengthened when his rival, Abdul Aziz Al-Rashid, Amir of Hayil and Jabal Shammer, was accidentally killed in 1906, and succeeded by his son Mit'ib. However, between 1903 and 1906, Abdul Aziz continued his attacks against his rivals, the Rashidites, and succeeded in weakening their rule in Nejd. Mubarak Al-Sabah began to realize that Abdul Aziz had started to change the balance of power in Arabia. In order to minimize his potential threat, Mubarak decided to improve his relations with the other Nejdi tribes. Thus, in 1905, he reconciled with Abdul Aziz Al-Rashid promising him that Kuwait would be neutral towards his conflict with Abdul Aziz Al-Saud. Their relationship became even stronger after the death of Yusuf Al-Ibrahim, in 1906. This resulted in the development of distrust between rulers of Kuwait and rulers Nejd. Mubarak became angry when Abdul Aziz demanded sale taxes on Nejdi business transactions in Kuwait. By turn, Abdul Aziz became angry when he knew that Mubarak sent letters to Saudis and Rashidites, at the same time, encouraging them to fight each other. However, this distrust never led to any Saudi hostilities towards Kuwait, in Mubarak's lifetime. Abdul Aziz continued his victories. In 1913, he attacked the Ottoman garrison in Al-Hufuf, the capital of Al-Hassa, which surrendered and left to Basrah. Thus, Al-Hassa was annexed to Nejd, which expanded the Saudi realm to the borders of Kuwait. The Rashidites tried to restore Riyadh and met with the Saudis at Jurab, on January 26, 1915. The Saudis were defeated and Captain William Shakespeare, the British Political Agent in Kuwait, was killed in the battle while he was trying to help them use a cannon. As a result of the Jurab defeat, Abdul Aziz felt that he needed more serious assistance from the British. Therefore, he met with the British Political Resident in the Arabian (Persian) Gulf, Sir Percy Cox, at Al-Uqair in November 1915 to sign a British-Saudi alliance agreement on December 26, 1915. According to the agreement, Abdul Aziz agreed neither to attack Britain's allies nor help its enemies. He also agreed not to give any concessions in his territory to any foreign power without approval from the British government. In return, Britain recognized him as Sultan of Nejd, Al-Hassa, Al-Qatif, Jubail, and their territories. Britain also agreed to pay him 5,000 pounds of gold monthly, and to provide him with weapons and ammunition. In a way, this was similar to the 1899 British Protection Agreement with Mubarak Al-Sabah. Thus, by becoming an ally of Britain, officially, Abdul Aziz had to maintain friendly relations with Mubarak, too. This may explain why relations between them did not deteriorate to open hostilities even when Mubarak gave asylum to the Ajmans, enemies of Abdul Aziz. Following his defeat at Jurab in 1915, Abdul Aziz Al- Saud decided to punish the Ajman tribe, which caused the defeat by quitting the battle without a fight. He asked for Mubarak's assistance against them. Mubarak agreed and sent him his two sons, Jaber and Salem, with a large Kuwaiti force. The Ajmans were defeated in the battle of Ridha, near Qatif. However, Mubarak gave them an asylum in Kuwait, in observance of his policy of balancing his relations with the various Nejdi tribes. This displeased Abdul Aziz but he did nothing against Mubarak due to his agreement with Britain not to attack its allies and due to Mubarak's major role in restoring the rule of Al-Saud in Riyadh. When Mubarak died shortly after that, in December 1915, his eldest son Jaber succeeded him for less than two years. Mubarak's younger son, Salem, became the Shaikh of Kuwait after the death of Jaber, in 1917. Both of them continued the same policies of their father in maintaining balanced relations with the Saudis and the Ajmans. Salem was different from his father and brother in his support for the Ottoman government and its Rashidite allies. He helped supply Ottoman troops in Syria with weapons, during World War I. This angered Britain, which imposed a sea blockade on Kuwait until the end of the war. Abdul Aziz did not like Salem because of his support for enemies of the Saudis: the Ottomans, the Rashidites, and the Ajmans. Salem sensed the Saudi hostile attitude and feared that Abdul Aziz was planning to invade Kuwait. Soon, his fears turned to be true. A dispute over a small border oasis, called Dauhat Al- Bulbul, led to the start of hostilities between the two parties, in 1920. Faisal Al-Duwaish, the leader of the Saudi Mutair Ikhwan warriors defeated the Kuwaiti army, which was led by Shaikh Du'aij Al-Sabah. Soon, Shaikh Salem ordered building a defensive wall around Kuwait, just like what Shaikh Abdullah I did in the last decade of the 18th century. The wall was completed in two months. When Abdul Aziz knew about it, he claimed that Al-Sabah's jurisdiction was limited to the walls around Kuwait. Invoking the protection agreement of 1899, Shaikh Salem requested intervention from the British but these were reluctant to help him because of his previous pro-Ottoman policies. Instead, they insisted on that their mediation be accepted in advance by both parties. Abdul Aziz did not wait for the British mediation to start. His military commander, Faisal Al-Duwaish, attacked the Kuwaiti village of Al-Jahra on October 10, 1920. The Ikhwan warriors captured the village but not the fort where Shaikh Salem was leading his troops by himself. The Saudi siege of the fort was weakened by an attack from a Kuwaiti force, which came from Kuwait City. This forced the Ikhwan warriors to withdraw to Al-Subaiha taking with them the booty they captured from the village. There, they were attacked by the British planes, which forced them to withdraw completely from the Kuwaiti territory. The Saudi forces suffered heavy casualties of about eight hundred during the battle and about five hundred more after that. While the battle of Al-Jahra was a victory for Kuwaitis, it led to imposing the Nejdi embargo against Kuwait, which lasted from 1920 to 1937. Moreover, border disputes continued until the death of Shaikh Salem on Februry 27, 1921. The new shaikh, Ahmed Al-Jaber, had friendly relations with Abdul Aziz, which contributed to ending border hostilities through the British mediation in Al-Uqair Conference, in 1922. The Uqair Conference represented the climax of bitterness and hostility between Al-Saud and Al-Sabah ruling families. The conference aimed at ending border disputes between Nejd, Kuwait, and Iraq. It started on November 28, 1922 and continued for five days. The British Political Resident in the Arabian (Persian) Gulf, Sir Percy Cox, was the chairman and mediator. Nejd was represented by Abdul Aziz Al-Saud, Iraq was represented by the Minister of Communications and Works, Sabih Beg, and Kuwait was represented by the British Political Resident in Kuwait, J.C. Moore. When Nejd and Iraq could not agree on settling their border disputes, Sir Percy Cox imposed a settlement on both sides. This resulted in giving Iraq a large Nejdi area. Abdul Aziz was so upset that the British mediator appeased him by giving Nejd about two-thirds of the Kuwaiti territory. Basically, the British wanted to stop Saudi raids against both Kuwait and Iraq, which were launched by the Ikhwan warriors. When Shaikh Ahmed Al-Jaber received the sad news, he was devastated. He asked Sir Percy Cox about the reasons of what he did. The British mediator told him that Abdul Aziz was going to take the territory by the sword if he did not take it by the pen. The Shaikh felt betrayed by Britain and asked for assurances that Saudis would not demand more Kuwaiti lands. The Uqair agreement led to an end of the Ikhwan attacks on Kuwait and no more Kuwaiti territories were annexed to Nejd. The Ikhwan attacks were resumed during their rebellion against Abdul Aziz Al-Saud between 1927 and 1930. Faisal Al- Duwaish, the leader of the rebels, started attacking Kuwait and pressuring Shaikh Ahmed Al-Jaber to open his port for the trade of the revolting tribes. With help from the British air and naval forces, Kuwait resisted the Ikhwan attacks. In 1929, Shaikh Ahmed Al-Jaber agreed to allow the rebels to use the Kuwaiti port, which angered Abdul Aziz. However, he restored friendly relations with Kuwait and Iraq after defeating the Ikhwan, in 1930. As a result, Shaikh Ahmed Al-Jaber visited Riyadh, in 1934, and requested from Abdul Aziz to lift the Saudi trade embargo that was imposed on Kuwait. Negotiations were resumed and concluded to the satisfaction of the Kuwaitis when Abdul Aziz visited Kuwait in 1936. The embargo was actually lifted in 1937, which helped the Kuwaiti economy, particularly after the decline of pearl diving as a result of the Japanese competition. The Ikhwan movement, which swept across Arabia between 1913 and 1930, was a revival of the first Wahabi movement of the eighteenth and nineteenth centuries. The new movement started by Shaikh Abdul Karim Al-Maghrabi, who was an Islamic shcolar and advisor to Faleh Pasha Al-Sadun, Shaikh of the Muntafic tribal confedaration in southern Iraq. Shaikh Maghrabi then moved to Irtawiyeh in Nejd, which was the center of the first Wahabi movement. Two main religious leaders who contributed to the revival were Shaikh Abdullah Bin Abdul Latif Bin Abdul Wahab, the grandson of the founder of Wahabism and the judge of Riyadh, and Shaikh Issa, the judge of Al-Hassa. The Ikhwan movement took a public shape following the 1913 successful attack on Al-Hufuf. Abdul Aziz Al-Saud led about 1500 of the Muslim Brothers (Ikhwan) in his attack on the Ottoman garrison of 1000 troops, there. The Ottoman garrison surrendered and Abdul Aziz brought Al-Hassa under his rule. This helped the British military effort and contributed to the Ottoman defeat in Arabia, during World War I. In 1916, the Ikhwan movement expanded in a large scale when Abdul Aziz issued an order that required all tribes to join the movement and pay him the zakat as their recognized Imam, religious leader. If they failed to obey they would be attacked. Shaikhs (chiefs) of tribes were kept in Riyadh to be taught the essence of their religion. At the same time, a group of the Ikhwan leaders, such as Faisal Al-Duwaish, were sent to these tribes to teach them the true Islam. In addition to expanding and strengthening his rule, Abdul Aziz aimed at stopping the tribal Nejdi attacks against Iraqi and Hijazi territories, which were in alliance with Britain. However, the attacks were resumed, in 1917, as a result of a secret mission to Nejd by John Philby, who was a representative of the British-Indian Political Department. Philby persuaded Abdul Aziz Al-Saud to resume hostilities against the Rashidites, the Ottoman allies. Abdul Aziz agreed and marched to Jabal Shammer, in 1918, but he failed to capture Hayil, the capital. In 1919, as a reward for his support for the allied war efforts, he was given a British monthly subsidy of 75,000 rupees. Britain also agreed to leave the door open concerning his claims of some of the Kuwaiti territories. The most prominent Ikhwan leaders were Faisal Al-Duwaish, chief of the Mutair tribe; Sultan Bin Bijad, chief of the Ghat Ghat Utaiba tribe; and Dhidan Bin Hithlin, chief of the Ajman tribe. The three leaders revolted against Abdul Aziz after a conference they had held in Irtawiyeh, in 1926, to protest his policies and practices. During the conference, they criticized him for his close ties with the British, for becoming a king (which they described as un-Islamic), and for sending his son Faisal to study in Britain. They also pointed to his luxurious lifestyle, including living in palaces, taking concubines and marrying many women in every region in the country (Appendix 2.A). They criticized him for collecting more taxes than Al-Rashid of Hail or the Sherif of Hijaz. Finally, they objected to the embargo that was imposed on Kuwait because it hurt the trade of their tribes. In addition to criticizing his policies and practices, the Ikhwan leaders realized that Abdul Aziz had used them to establish his rule in Arabia. Once he had achieved that goal, he had no use for them. In particular, they were bitter because they were not rewarded for what they had accomplished for to him. Following their conquest of Hijaz (the western region of Saudi Arabia today), in 1924 and 1925, the Ikhwan leaders Faisal Al-Duwaish and Sultan Bin Bijad expected to become the rulers of Makkah and Medina, respectively. Instead, Abdul Aziz gave the two positions to members of his family. Further, the Ikhwan leaders disagreed with him on the way Jeddah was conquered. They wanted to enter the city by force, not by negotiations as he did, because this would allow them to loot it. They also wanted him to burn all the tobacco in the city and to ban its use. However, he listened to the City merchants who convinced him that he would benefit more by collecting taxes on tobacco. When he agreed with the merchants, the Ikhwan leaders became angry. The third Ikhwan leader, Dhidan Bin Hithlin, was even more bitter because he was prevented from the fighting in Hijaz altogether which deprived him of looting the region's main cities. For all of these reasons, the Ikhwan leaders decided that they would no longer obey Abdul Aziz as their own Imam. In January 1927, Abdul Aziz responded by holding his own conference to defend himself. Al-Duwaish and Bin Hithlin attended but Bin Bijad did not. The Wahabi religious scholars, ulema, supported Abdul Aziz against his opponents. The conference failed and the Ikhwan leaders declared their revolt. Their first attack was in October 1927, on the Saudi post on the border with Iraq. Other raids and attacks followed on Iraqi, Jordanian, and Kuwaiti tribes. In response, Abdul Aziz held another conference in which the religious scholars gave him a permission to crush the revolt. On March 30, 1929, he led 40,000 of his troops against 4,000 of the Ikhwan in Sabaleh. The battle lasted about 30 minutes ending in a victory for Abdul Aziz, particularly because of the twelve machine guns he had. Dhidan Bin Hithlin was killed, Sultan Bin Bijad was captured and died in prison, and Faisal Al-Duwaish was wounded but managed to escape. Naif Bin Hithlin led the Ajmans and continued the revolt together with Al-Duwaish, the Mutair leader. However, Abdul Aziz had the upper hand as he was supported by the British who supplied him with weapons, ammunition, and money. Moreover, the British troops on the Iraqi, Kuwaiti, and Jordanian borders denied the rebels any chance to seek refuge there and the British planes bombed them. As a result, the Ikhwan leaders finally surrendered to the British Political Resident in Kuwait, Dickson, on January 9, 1930. Ten days later, the British handed them over to Abdul Aziz who put them in prison where they died. Although border disputes between Kuwait and Nejd were settled to the satisfaction of the Saudis in the Uqair Conference, Shaikh Ahmed Al-Jaber wanted assurances that Abdul Aziz had no more claims of the Kuwaiti territory. His suspicions concerning Saudi territorial claims continued until 1947, when Abdul Aziz agreed to sign a defense agreement with him, which was really more assurance against further Saudi claims than a treaty against a third party. However, Saudi Arabia defended Kuwait and contributed to its protection and independence during the third Iraqi attempt to restore Kuwait in 1961. Saudis have known about these Kuwaiti fears. Therefore, the Saudi commander, Khaled Bin Sultan, was careful not to arouse any of these fears at the end of the 1991 Gulf War. This was reflected in the way he arranged the Arab troops that entered Kuwait. He avoided sending Saudi troops to station in disputed areas on the borders between the two countries. Thus, Saudi forces did not enter al-Jahrah, which was the site of a Kuwaiti-Saudi battle, in 1920. Moreover, Saudi naval vessels did not approach some small islands, the ownership of which was still not agreed upon between Saudi Arabia and Kuwait. However, Bin Sultan was bitter concerning the hasty decision that Shaikh Jaber Al-Ahmed made as soon as the coalition troops entered Kuwait. He declared a state of emergency and appointed the Crown Prince, Shaikh Sa=ad Al-Abdallah, as the military governor of the country. Thus doing, he superseded and neutralized the coalition command, which allowed an anarchic situation to exist. Bin Sultan did not explain his bitterness further, but it was clear that he was referring to the atrocities of the Kuwaiti militias against Palestinians and other non-Kuwaitis after the war (Chapter X). Like Kuwaitis, Saudis have their own demographic problem. They need a continuous supply of foreign workers but they do not want to admit that these are needed permanently. In other words, they do not want to deal with them as immigrants with permanent rights. In 1963, there were about 5.1 million people in Saudi Arabia. In 1974, the population increased to about seven million people. Saudis were about 4.5 million constituting about 65 percent of the population. Non-Saudis were about 2.5 million people constituting about 35 percent of the population. In 1982, Saudis increased to about seven millions constituting about 72 percent of the population. Non-Saudis also increased to reach about 2.7 millions, constituting about 28 percent of the population. In 1989, the population was estimated at about 13.5 million inhabitants with an increase of non-Saudis. Thus, during the last three decades of the 20th century, the trend has been a continuous increase of non-Saudis in the population. This trend has reflected the continuous need for foreign workers in the country, who reached about half a million, in 1975, constituting about 28 percent of the total workforce. However, they more than doubled in five years reaching more than a million and constituting about 43 percent of the total workforce, in 1980. They almost stayed on the same level constituting about 41 percent of the total workforce, in 1985. But they have increased dramatically to reach about 66 percent, in 1998 (Table 2.1). Most of these workers were Muslim Arabs until the 1980s when they began to be replaced by Asians. While Arab workers, particularly Lebanese and Palestinians, were feared for their political activities and attitudes, Asian workers posed no political hazards. Thus, Pakistanis, Bangladeshis, Sri Lankans, Koreans, Thias, and Filipinos gradually replaced Arabs. Thus, foreign skilled workers, Arabs and non-Arabs, run Saudi hospitals, airports, and universities. Other workers dig ditches, work in construction, sweep streets, work in farms, drive trucks, clean houses, and care for children at homes. In brief, they do the difficult and menial works that Saudis do not do, with the least possible wages. However, these foreign workers and their children who are born in Saudi Arabia cannot obtain a permanent-resident status, apply for citizenship, or even own property. They can be deported by their sponsors for any reason irrelevant of how many years they have spent in the country. The government is actually serious about keeping the distance between citizens and immigrants (the expatriate workforce). The Interior Ministry even issued a directive preventing Saudis from marrying non-Saudis without permission, whether at home or abroad. Saudi men can marry women from the Gulf states without permission. Outside the Gulf states, they need a permission. For Saudi women, they need a permission to marry any non-Saudis at home or abroad. Saudi Arabia, like other oil-producing Arab states, considers demographic data of strategic importance. In some cases like Kuwait, Qatar, and the United Arab Emirates, citizens represent a minority in the country. But in all cases, the governments do not want to deal with the issue of the relationship between citizens and non-citizens in these countries. The way Saudis have dealt with their demographic problem is very similar to that of Kuwaitis. They got rid of the largest group of non-citizens in the country, the Yemenis, using the same justification Kuwaitis used to get rid of the Palestinians. About one million Yemenis were asked to leave Saudi Arabia because their government did not vote against Iraq in the Arab League and the United Nations, during the 1990 crisis. These Yemenis lived in the country for decades and many of them were born there. Had there been a policy of naturalization, most of them would qualify for citizenship and their loyalty to the country would not be questioned. Like Palestinians and the Bedoons of Kuwait, Yeminis of Saudi Arabia were victims of the Gulf crisis and the Gulf War and their cause has been ignored so far. Saudi Arabia has twenty-five percent of the world's proven oil reserves. These reserves amount to about 160 billion barrels of oil, which exceeds the proven reserves of the United States, the states of the previous Soviet Union, Mexico, and Venezuela combined. This makes Saudis among the wealthiest nations on earth, now and in the foreseeable future. However, the oil boom is a very recent development. It started as a result of the surge in oil prices that followed the Arab oil embargo of 1973/74. Another increase in oil prices resulted from the Iran-Iraq war, in the 1980s. A third increase started to happen in 1999 and continued in 2000 as a result of observing OPEC=s oil production quotas, which brought prices to more than $25 per barrel. Oil revenues rose from $56.7 million in 1950 to $333.7 million in 1960. The daily production was 1.4 million barrels sold for $2 a barrel to the oil companies. In 1970, oil revenues reached $1.2 billion. On October 16, 1973, King Faisal led an Arab oil embargo against the countries that supported Israel, during the War, as he had promised President Sadat. The embargo continued for about five months and contributed to a sharp rise in oil prices. By the end of 1974, oil prices reached $11.65 per barrel, which gave Saudi Arabia about $22.5 billion worth of oil revenues that year. During the same year, 1974, Saudi Arabia took over the country=s main oil-producing company, Aramco, thus increasing its revenues in the following years. In 1979, oil revenues reached about $57.5 billion. In September 1980, the war broke out between Iran and Iraq. As a result, Saudi Arabia increased its oil production to 9.6 million barrels a day to cover for the lost Iranian and Iraqi oil. In October 1981, oil prices reached $34 per barrel, which gave Saudi Arabia more than $113.2 billion of revenues that year. However, due to a decrease in the demand for oil in 1983, Saudi Arabia reduced its oil production to about 4 million barrels a day. Oil prices also declined to about $29 per barrel. In 1987, Saudi annual oil revenues declined to about $20 billion. 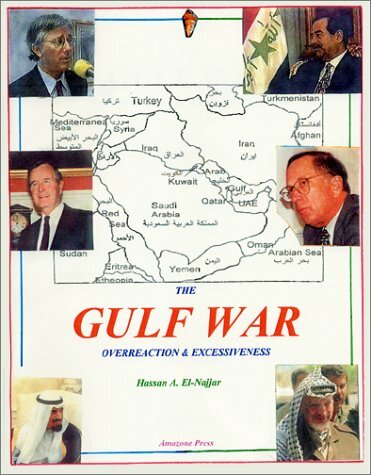 In 1990, the year Iraq invaded Kuwait, Saudi oil revenues increased to about $37 billion. Thus, in less than three decades (1970-1996), Saudi Arabia received more than $920 billion in oil revenues (Table I.1). The sudden oil wealth has a tremendous impact on governments and citizens of Saudi Arabia, Kuwait, and other Arab oil-exporting states. It has made them materially better off than citizens of other Arab states. As a result, they have started to perceive themselves as different and begun to emphasize their own "Gulfer" identity. They have followed a common strategy of keeping immigrants away from having a direct access to the oil wealth. They have achieved that by denying immigrants the right for citizenship or the status of permanent residence even if they were born in the Gulf states to Arab and Muslim parents. This has created a material barrier between Gulfers and non-Gulfer residents. The barrier still grows with the growth of foreign workers in these states. Although oil wealth has not created the Saudi system of absolute monarchy, it has strengthened it. In order for the Saudi ruling family to maintain its unrestricted access to the country’s oil wealth, it has denied political rights to the population. Saudi Arabia had no written constitution and the government is not elected at any level. Thus, the Bush administration could not claim that it went to war to defend democracy in Arabia. However, after the war, some reforms were introduced. In March 1992, King Fahd issued a series of royal decrees that laid the bases for some political participation in the government. These decrees increased powers of the provincial governments and provided for a 60-member Consultative Council (CC) whose members are appointed by the King. More than a decade earlier, in March 1980, a committee was formed and headed by Prince Naif to write a constitution, suggest how to establish a consultative council, and how to reform the system of local governments. Apparently, the 1992 decrees came in the aftermath of the Gulf War and in response to the 1980 suggestions, which also represented earlier demands by Prince Talal and his supporters. The CC started to hold sessions in 1993, then it was expanded to 90 members, in 1997. However, the power of the Council is limited to debating minor issues as directed by the King. It reaches views, not decisions or laws, which may or may not be used by the Government. In addition to the Consultative Council, the King consults with four main groups: the Council of Islamic Scholars (ulema), the Council of Princes, the Council of Ministers (Cabinet), and the King's inner circle of the most influential princes. These include Abdullah, the Crown Prince; Sultan, Minister of Defense and Aviation; Naif, Minister of Interior, Intelligence, and border guard; Salman, Governor of Riyadh; Mit'ib; Muhammed, the eldest living son of Abdul Aziz, and Fahd's other two full-brothers, Abdul Rahman and Ahmed. In the absence of a constitution, succession has become a major problem that threatens the stability of the rule of royal families in the Gulf, including Saudi Arabia. Before his death in 1953, King Abdul Aziz made sure that there would be no problem for his eldest son, Saud, to become the King. However, the problem emerged during Saud's rule. His performance did not please the influential and ambitious members of the royal family. Therefore, they deposed him and elected his brother, Faisal, as the third King of Saudi Arabia. When Faisal was assassinated in 1975,  Khaled was elected as the fourth King on basis of seniority. When he died in 1982, Prince Muhammed decided to reform the succession procedure. He announced that Fahd and Abdullah would be the King and the Crown Prince, respectively. As the eldest living son of Abdul Aziz, Muhammed forfeited his right for succession emphasizing that age and matrilineal groupings would no longer be the major criteria for succession. Instead, Princes with support from the religious scholars will elect the king on basis of personal merits. The new tradition will be put to test when Abdallah becomes the sixth king. So far, only sons of Abdul Aziz have been expected to become kings until the last one of them establishes a new dynasty among his sons. Thus, King Fahd is expected to be succeeded by the Crown Prince, Abdullah who will be succeeded by Prince Sultan then Prince Naif, and so on. As an absolute monarch, the king is expected to perform three different roles simultaneously. First, he is the country's religious leader. Abdul Aziz declared himself an Imam and Fahd changed his official title to "the custodian of the two holy sanctuaries" (of Makkah and Medina). Second, the king performs the role of the traditional tribal chief. He is expected to take care of the interests of his subjects who expect to have free access to him in his meeting place, the majlis. He is expected to listen to their grievances and solve their problems directly without allowing intermediaries. Finally, the king is the secular head of state. As a result, he has the responsibility of leading the country in all aspects of life as a modern society that competes in a global economy. Here, he is the prime minister (head of the executive branch of the government). But he rules by decrees (in absence of a parliament), and he influences the judicial system through his ability to appoint and dismiss judges. As a result, the three branches of the government are not clearly separated. In addition to the king, members of the royal family function as patrons to Saudi citizens. Most Saudis are connected to a prince or a princess, directly or indirectly through tribal, family, or work ties. These ties allow citizens to enjoy the benefits of being close to the rulers. They can receive a better treatment from the government bureaucracy, an easier entry to health and educational facilities, and even receive emergency cash to pay the heavy costs of wedding parties. Some categories of citizens have more privileges than the rest. While the military are given high salaries and many benefits, merchants enjoy profits without paying high taxes. However, citizens generally receive interest-free loans. Just like in the case of Kuwait, these benefits are restricted to Saudi citizens many of whom have become like an aristocratic minority in comparison with the majority poor foreign working class. Saudi citizenship is limited to those born to a Saudi father. Also like in the case of Kuwaiti women, when a Saudi woman is married to a non-Saudi, her children do not acquire the Saudi citizenship. The objective is limiting access to the oil wealth and restricting it to as less people as possible. By 1980, the Saudi per capita income from employment was $2,500 a month, in addition to about 29 percent of this income in form of subsidized government services. Between 1975 and 1983, the government subsidies for citizens amounted to $3.3 billion worth of food, $1.9 billion of reduced electricity bills, and $31.6 billion of interest-free loans for personal or business use. Any Saudi citizen had the right for a twenty-five-year interest-free and fee-free real estate development loan. There was a two-year grace period between completion of the building and the first payment. In addition to that, if the borrower repays on time, he/she is entitled to a 20 percent rebate. Moreover, if the loan is repaid a year earlier, a borrower is entitled to another 10 percent rebate. These subsidies enabled some Saudis who have access to land to become real estate tycoons by borrowing from the government, building houses and offices, and renting them or selling them before any payments are due. The government has no obligations towards the higher education of non-Saudi legal residents. But it provides Saudi students with free education, including books and uniform, and pays them monthly stipends that increase as they progress in their studies. It also pays all expenses for Saudi students who study abroad and gives each one of them a salary of about $12,000 in a school year. In addition to all these benefits that Saudi citizens enjoy, the law gives them another benefit that allows them to exploit foreign workers in the country. Every non-Saudi living or working in the country should be sponsored by a Saudi kafeel, an employer or a sponsor, who keeps passports of his workers all the time in order to control their movement. Visas should be obtained even to exit the country. Fear of residence visa cancellation by the kafeel keeps foreign workers under his mercy, which may lead to exploitation. Many of these workers complain that the contracts they sign upon arrival to the country specify lower wages and fewer benefits than what they were promised before. Original contracts are sometimes increased upon arrival by as much as 3 years. Some employees reaching the end of their term of service in a contract may be refused permission to return home by their employer. Moreover, there are reports of workers who are indentured to Saudi sponsors for a set amount each month and who must then find their own employment upon arrival in the country. The discrimination in pay prompted the ILO to state that the Saudi Government has not formulated legislation implementing the ILO Convention on Equal Pay. Finally, because of the Saudi Government’s lack of compliance with internationally recognized worker rights standards, Saudi Arabia was suspended from the U.S. Overseas Private Investment Corporation Insurance programs, in 1995. Despite the benefits available to Saudi citizens, which have made them much better off than foreign workers in the country, still some regional, religious, and educated groups are not content with the status quo. More recent opposition groups demand democratic reforms and improvements in human rights. The regional opposition goes back to the way the main regions of the country were conquered and annexed to Nejd, at the beginning of the century. Al-Hassa region including its capital, Al-Hufuf, was conquered on April 12, 1913. The first Saudi ruler of Al-Hassa, Abdallah Bin Jelawi, was so tough that about one million people left the region to southern Iraq. Shammer Arabs and their capital, Hayil, were conquered on November 2, 1920. Concerning Al-Hijaz region, Abdallah Bin Al-Hussain was defeated in Turba, in 1919. Makkah and Medina were conquered in 1924 and Jeddah in 1925. Following all battles in the three regions, there was retribution, killing, and looting of property. More important was that Abdul Aziz promised the Hijazis to listen to their demands concerning a representative government, which did not happen. The religious opposition goes back to the crushed Wahabi Ikhwan revolt of 1927-1930. Devoted followers as well as children and grandchildren of the revolt leaders and warriors constitute the bulk of the religious opposition. There were several violent manifestations of the religious opposition during the second half of the 20th century. In 1965, a group of Muslim fundamentalists, led by Prince Khaled Bin Musa'id (a grandson of King Abdul Aziz), clashed with the police during an attack on the television station. Several members of that group were killed including the Prince. The fundamentalists continued their activities during 1966. Several bombs exploded in Riyadh targeting Prince Fahd's Palace in Al-Nassiriah, Al-Zahra Hotel, and a bridge used by King Faisal. The campaign also extended to Dammam. In revenge for his brother's death, Prince Faisal Bin Musa'id assassinated his uncle, King Faisal, on March 25, 1975. The most violent and visible expression of the religious opposition was on November 20, 1979, when a fundamentalist group occupied the Holy Sanctuary of Makkah. The leader of the group, Juhaiman Bin Muhammed Al-Utaibi chose the first day of the Islamic 15th century, the year 1400 of Hijra, to announce his revolt. He expected people to join his group easily for two reasons. First, Muslims expect a religious revival at the beginning of every century. Second, Juhaiman introduced his brother-in-law, Muhammed Bin Abdallah Al-Qahtani as the promised Mahdi, the guided one. However, people did not join his revolt, which was crushed mercilessly. Members of the group were less than 300 and were influenced by the teachings of Shaikh Abdul Aziz Bin Baz, the senior Islamic scholar in the Prophet's Mosque in Medina. However, Bin Baz did not support them. About 117 of them were killed during the battle with the government forces and additional 63 of them were executed in eight cities and towns on January 9, 1980. The way the uprising was crushed showed that the Saudi royal family could not tolerate dissent. It also showed that there was some interaction between Saudi citizens and other non-Saudi Muslim workers in the country, as many of the executed turned to be non-Saudis. In addition to that, the uprising was an evidence of the spreading inspiration that the successful Iranian revolution gave to Muslim fundamentalists in the Middle East. Juhaiman denounced Al-Saud's legitimacy to rule saying that monarchies are alien to Islam. He was actually repeating the same argument of the Ikhwan in the 1920s. Like them, he rejected modern technology such as television. He also criticized Saudi relations with the infidel powers and the presence of non-Muslims in the country. A year earlier, in 1978, he published the first pamphlet of the group at the Tali’a Press in Kuwait. In that pamphlet, he attacked the religious scholars, particularly Bin Baz, describing them as a tool for the government’s manipulation of the people. When the uprising took place, the religious scholars responded by giving a fatwa, ruling, that authorized the government to fight the group members inside the Holly Shrine of Makkah. During the 1990s, religious opposition has continued but with more modern methods, such as focusing on human rights. Many of the leaders of these groups were educated in the West, which enabled them to get more attention outside the country. The third category of opposition includes both secular and religious groups, which are led by the more educated Saudis, particularly those who have received their education or military training abroad. They pose a serious opposition to the absolute rule of Saudi government. They feel that the country is ripe for constitutional and democratic reforms. They yearn to the rule of law and the democratic practices enjoyed by people in the West and even relatively in some neighboring Arab states. Many military officers paid the ultimate price for their attempts to change the system. Before the oil boom, there were two attempts of military coups. The first was in 1955 against King Saud. Prince Talal was suspected to have links with it. Therefore, he had to resign as a Minister of Transportation and to accept a job as an ambassador in Paris and Madrid, away from the country. The second attempt was in 1969 against King Faisal. Leaders of the latter attempt were flown over the Empty Quarter then were pushed out of the plane. One of them was even a "Sudairi" prince. They were air-force officers in Jeddah, Riyadh, and Dhahran air bases. Among the civilians involved was Yusuf Al-Tawil of Jeddah. Civilian attempts to reform the political system were most associated with Prince Talal, in the 1950s. He led a group of "Free" or "Constitutional" Princes that included Badr, Nawaf, Mit'ib, Mish'al, Abdul Muhsin, Fawaz, Abdul Majid, Muqrin, Abdul Ilah, and Hathelool. These princes expressed ambitions of the middle class, military officers, and government technocrats such as Abdallah Al-Tariqi, who was Under Secretary of Oil and Mining. In March 1958, the "Free Princes" met with the "Traditional Princes," Muhammed, Khaled, Abdullah, and Fahd. They agreed to adopt a constitution, have an effective consultative council, and a provincial administrative reform. However, none of these reforms materialized and the country continued to be ruled as an absolute monarchy. This has led to a continuous struggle for reform from opposition groups, which also triggered continuous repression from the government. The labor movement, which started in the 1950s, ended in 1962 when 12 of its leaders disappeared. One of them, Nasser Al-Said, managed to escape to Beirut but to be kidnapped and returned to Saudi Arabia in 1979, the year he published his critical book about the rule of Al-Saud family. Between 1958 and 1964, Prince Talal left the country in protest and joined the Nasserite Arab Nationalist movement. However, he and the other “Free Princes” were re-integrated to the family later. In 1975, General Muhammed Al-Shmaimri was arrested and executed for conspiracy. Three years later, in 1979, the Makkah Uprising was crushed mercilessly. In 1984, the exiled opposition leader, Shams Eddine Al-Fassi, was the target of an assassination attempt. His son, Muhammed Al-Fassi was handed over to the Saudi government by the Jordanian authorities, in 1991. Throughout the 1990s, people have been disappearing in the middle of the night. Since the Gulf War, about 8,000 people were arrested for “political crimes.” Some of them are still imprisoned for years without trials. The continuous suppression of political freedoms led to an escalation in the number of clandestine opposition groups inside and outside the country. Among these are Young Nejd, the Peninsula Liberation Front, the Free Nejd Party, the Labor Socialist Party, the Arab Nationalist Party, Hizbullah, the New Ikhwan, the Islamic Revolutionary Party of Arabia, the Committee for the Defense of the Legitimate Rights of Muhammed Al-Mas’ari, and its breakaway faction the Islamic Reform Movement of Sa’ad Al-Faqih. These groups criticize the Saudi government using computers, facsimile transmissions, audio cassettes, pamphlets, books, copies of anti-royal petitions, and articles. Throughout the 1990s, also, several prominent individuals made their opposition to the Saudi regime public. In November 1990, Saudi pilots defected to the Sudan because they did not want to participate in attacking Iraq. In 1994, Ahmed Zahrani, who was th deputy Saudi Consul in Houstin, sought political asylum in Britain. He mentioned the lack of basic rights and freedoms in his country, like freedom of expression and political association, as the reason for his opposition to the regime. In July of the same year, 1994, Muhammed Khilew, who was the first secretary of the Saudi mission in the U.N. dissented, too, and was granted political asylum in the U.S. He feared for his life if he returned to Saudi Arabia because of a letter he had written, in which he criticized the Government for human rights abuses and corruption. In September 1994, two Muslim clerics, Salman Al-Awdah and Safar Al-Hawali, were arrested for publicly criticizing the government. Their detention sparked protest demonstrations resulting in the arrest of 157 persons. On October 16, 1994, 130 of them were released. The remaining 27 stayed in prison for more than two years. The Committee for the Defense of Legitimate Rights (CDLR) has been the most active Saudi human rights group throughout the 1990s. It criticizes the Government’s human rights record from the perspective of Islamic principles and advocates stricter adherence to Islamic principles by the royal family and the Government. The CDLR was formed in May 1993 by Muhammed Bin Abdullah Al-Mas’ari, Sa’ad Al-Faqih, Suleiman Al-Rushud, and three others. Because of criticizing the Saudi Government in the international press, the CDLR founders, 38 of their supporters, and some of their relatives were arrested just days after founding the group. On May 28, 1993, an American citizen was also arrested for his sympathy with the group. He was held in isolation for three weeks and was tortured before he was released and deported. Al-Mas’ari stayed six months in prison and was released in November 1993. Then, he fled the country to the U.K., in April 1994. There, he sought political asylum after his Saudi citizenship was revoked. But the Saudi Ambassador in London threatened that if the U.K. granted him asylum, Saudi Arabia would withdraw from large British weapon contracts. As a result, the British Government gave Al-Mas’ari 4-year temporary residence instead of the permanent resident asylum status, and the weapon contracts were kept. Some CDLR supporters were released from prison after they had signed statements promising not to discuss the Government’s policies or communicate with anyone outside the country by telephone or facsimile machines. Among the released were Dr. Fouad Dehlawi; Mas’ari’s brother, Lu’ay; and Mas’ari’s brothers-in-law, Rashad and Nabil Al-Mudarris. However, about 15-27 CDLR supporters are still in prison, part of at least about 200 political prisoners in the country. In August 1995, Abdullah Bin Abd Al-Rahman Al-Hidaif, a supporter of the CDLR, was executed by beheading for his attempt murder with acid on an Interior Ministry official. Nine others associated with Al-Hidaif were sentenced to prison terms. One of them was sentenced to 5 years in prison for possessing leaflets and posters mentioning the CDLR. Another was sentenced 3 years in prison for attending meetings in support of the organization. Human rights abuses have continued. In December 1995, the student Haytham Al-Bahir died of complications rising from detention and torture. In April 1999, a 70-year old journalist was beaten during interrogation after his return to the country from Bahrain. Despite the rising opposition to the absolute rule, the Government still insists on denying the people their basic rights and freedoms. There are no popularly elected officials. Political parties are not permitted, and there are no publicly organized opposition groups. Moreover, the Government commits and tolerates serious human rights abuses. Citizens do not have the right or the means to change their government. There are no elections at any level of the government. Security forces arbitrarily arrest and detain persons for a long time without charges, then abuse and torture them. Freedoms of speech, assembly, and association are prohibited. Freedoms of the press and movement are restricted. The printed media are privately owned but publicly subsidized. According to a 1965 national security law and a 1982 media policy statement, the dissemination of criticism of the government is prohibited. The Ministry of Information appoints, and may remove, the editors-in-chief. It also provides guidelines that the media should follow when dealing with controversial issues. The government owned Saudi Press Agency (SPA) expresses the official views that newspapers should follow. In addition, there is discrimination on all levels against women and the Shi’a minority but most against immigrants (expatriate workers). These three groups of the population are restricted in movement. Women cannot move inside or outside the country unless they are accompanied by a first-degree male-relative or a husband. They cannot marry non-Saudis unless they get permissions from the government and they cannot drive their cars to their work. In 1990, 49 Saudi women entered history as they were arrested for driving cars to protest the ban on female drivers. They were released after making their point. They were influenced by the presence of about 26,000 American women in military uniform in the country, participating in all military activities, including driving. The Shi’a complained of restrictions on their travel abroad, particularly to Iran. Some of them have been subjected to surveillance since 1979. About forty Shi’a were held since 1988 without charge in prison. But they were finally released. With improving relations with Iran, King Fahd invited the Shi’a dissidents abroad to return and some of them did. In 1997, when the Consultative Council was expanded to 90 members, it included two Shi’a members. Starting from 1995, Ashura commemorations passed without incidents, which reflects more religious tolerance towards the Shi’a. But they still complain that the Government needs to invest more in their areas in proportion to their size in the population. The U.S. Department of State (DOS) human rights annual reports mentioned that the Shi’a numbered about 500,000 throughout the 1990s, as if they do not increase in number like the rest of the population. They should be much more than that if we use their percentage in the population. According to the 1993 DOS report, the Shi’a were estimated at 15-20 percent of the population. If we apply this to the 1999 population of 14 million citizens, then the Shi’a may range between 2.1 million to 2.8 million people. All in all, it seems that the main problems facing the Shi’a are the same facing the Sunna, mainly those resulting from the absolute rule. Immigrants are the most discriminated against in rights, wages, benefits, and travel. They are typically allowed to reside or work in the country only under the sponsorship of a Saudi national. Some sponsors prevent foreign workers from obtaining exit visas in order to pressure them to sign a new work contract or drop claims against their employers for unpaid salary. Other sponsors may refuse to provide foreign workers with a “letter of no objection” that would allow them to be employed by another sponsor. Moreover, collective bargaining is forbidden. There is no minimum wage. Wages are set by employers and vary according to the type of work performed and the nationality of the worker. In brief, the labor system is conducive to the exploitation of foreign workers. That is why it was not a surprise that some foreign workers joined Saudi opposition groups and uprisings, such as the 1979 Makkah Uprising. In addition to this challenge to the status quo, which is posed by the above-mentioned opposition groups, a different challenge has emerged in the region, in the 1990s. It is represented by the various constitutional and democratic reforms that have been introduced in other Arab monarchies. Jordan and Morocco are in the forefront in allowing multi-party electoral systems. The Gulf states of Qatar and Oman have taken steps towards more political participation. Qatar held municipal elections in which both men and women participated freely. Oman held municipal and parliamentarian elections in which men and women voted, ran for office, and were elected. Kuwait has a long history of democratic participation although it is still discriminatory against women and immigrants. Similarly, some Arab republics have achieved considerable changes that allow more political participation, particularly Egypt, Lebanon, Yemen, Tunisia, Algeria, and Sudan. However, only the Yemeni President Ali Abdullah Salih and the Palestinian President Yasser Arafat, ran opposed in the presidential elections, in the 1990s, and were followed by the Sudanese President Omar El-Bashir, in 2000. Thus, all these local and regional developments exert more pressures on Saudi Arabia to move towards constitutional and democratic reforms. The Saudi-American relations started with concessions for American oil companies, which led to the creation of the Arabian-American Oil Company (ARAMCO). In 1945, Aramco agreed to pay 50 percent of its net earnings to Saudi Arabia. In the same year, King Abdul Aziz agreed to allow the United States to build and use the Dhahran air base. After his death in 1953, his son and successor, King Saud, advocated Arab neutrality. He also strengthened his ties with Egypt after Nasser's pilgrimage to Makkah, in 1954. Saud visited Egypt in the spring of 1954 to restore the alliances his father started with King Farouk. He adopted Nasser’s policy of positive neutrality. As a result, he expelled the U.S. Point Four mission in the same year and substituted it with Egyptian military and educational missions. In 1955, Saudi Arabia rejected the pro-Western Baghdad Pact and signed a defense treaty with Egypt and Syria. Saud also joined Nasser in signing the non-aligned movement agreement of Bandung, in April 1955. He financed the Egyptian weapon deal with Czechoslovakia and the Yemeni purchase of weapons from China and the Soviet Union. The climax of Saud's Arab nationalist line was his visit to Cairo in the spring of 1956 when he agreed to the idea of uniting Saudi Arabia, Egypt, and Syria. Amidst this atmosphere of Arab nationalism, Nasser visited Riyadh in September 1956. When he arrived at Dammam, the people gave him an overwhelming welcome that pleased the King but alarmed his influential brothers. Finally, when Egypt and the Palestinian territory of Gaza Strip were attacked by Israel, Britain, and France on October, 31, 1956, Saudi Arabia took a strong position against the aggressors. It severed diplomatic relations with Britain and France and cut off oil supplies to their tankers. Thus, the Eisenhower Doctrine was tailored for the containment of Nasser. As a follow up, Saud was invited to visit Washington at the end of January 1957. As an Arab nationalist, he thanked the U.S. for its stance against the Suez Campaign, which contributed to the withdrawal of the aggressors. However, the administration was not looking for his thanks because its stance was not meant to support Arabs. Rather, it was an attempt to assert the new American super power status and to teach the two colonial powers a lesson that they had to follow the leadership of the new emerging power. Anyway, Saud was offered $800 million in military and economic aid. In return, he agreed to renew the lease of the Dhahran airbase for another five-year period. He also accepted to join Iraq, Jordan, and Lebanon in an anti-Nasserite alliance. When he returned, he demonstrated his complete transformation by paying the chief of the Syrian military intelligence, Abdul Hamid Al-Sarraj, 1.9 million sterling pounds to assassinate Nasser. Saud’s influential brothers were unhappy about his new foreign policy. Faisal disapproved of reneging on positive neutrality and was angry about the assassination attempt against Nasser. However, it was Saud’s fiscal mismanagement that angered his brothers most. As a result, they insisted on limiting his powers by appointing Faisal as a Prime Minister on March 24, 1958. Although Saud still retained the right to veto any decision his brother would make, he became actually powerless. The first thing Faisal did was restoring good relations with Nasser. Then, he started to address the financial problems of the country. Saud did not give up and on December 21, 1960, he regained control of the government by taking back the Prime-Ministership from Faisal. He was supported by Prince Talal and the other "Constitutional" princes because Faisal did not carry out the reforms he promised. Talal was supported by the middle-class intelligentsia. In addition, tribal leaders and merchants were unhappy about Faisal’s austerity program. In return for his support, Talal and his two brothers, Abdul Muhsen and Badr, were rewarded by giving them ministerial positions. Soon, the reformists became disappointed again as Saud did not keep his promises regarding constitutional reforms. Instead, Saud dismissed Talal and his brothers from the government. The Crown Prince, Faisal, waited for the suitable moment to get rid of King Saud. Several inter-Arab and international developments showed Saud's inability to rule in a way that would please his influential brothers. Early in 1961, for example, he told America that he would not renew the lease for the Dhahran airbase, which was considered by his brothers as a serious disruption of the status quo. Another development in July of the same year set the alarm concerning the Iraqi claims, not only of Kuwait but also of parts of the Saudi territory in Al-Hassa. Saud also did not know how to react when a Syrian military coup declared the secession of Syria from the United Arab Republic, on September 28, 1961. While Saud did not know how to deal with it, Faisal pushed for recognition of the new Syrian regime. Although Saud spent about 12 million sterling pounds to break-up the Egyptian-Syrian union, he hesitated to recognize the secessionist regime. He did not want to trigger retaliation from Nasser. Faisal, on the other hand, was not afraid of the wounded Nasser, anymore. As a result, he appeared to the other members of the royal family as more decisive than Saud. The most important event that Faisal utilized to demonstrate Saud's inability to make right decisions was the Yemeni military coup, on September 26, 1962. The Imam (Monarch) of Yemen came to Saudi Arabia asking for Saudi support. While Saud quickly pledged support, Faisal was cautious. Saud’s policy to intervene proved to be self-defeating as Saudi pilots started to defect to Egypt. Moreover, six out of the eight cabinet members opposed intervention. Feeling the pressure, Saud asked Faisal for help allowing him to form a new government, on October 17, 1962. Faisal agreed on the condition that he would be given real power to rule. When he was given what he wanted, he increased the financial and military support for the Yemeni royalists. This allowed them to buy more weapons and mercenary services. Then, on November 6, 1962, he broke off relations with Egypt. For the following two years, Faisal was the real ruler of Saudi Arabia. Saud was asked to be absent outside the country. Finally, on March 29, 1964, a dozen of the ulema issued a fatwa, religious ruling, that the King was unfit to rule. The religious scholars were prompted to do so by sixty of the senior princes who followed up on the fatwa by signing a letter supporting it. As a result, Faisal became a de facto Viceroy until November 2, 1964 when Saud was forced to abdicate and Faisal became the third king of Saudi Arabia. As a result of the increased financial and military Saudi support, the Yemeni royal forces launched their counter attack against the republican forces in an attempt to restore the monarchy. However, the attempt failed due to Nasser's strong support for the republican forces. He sent Egyptian troops that stayed in Yemen until the war ended by the 1965 Jeddah agreement. According to the agreement, Saudi Arabia agreed to stop its support for the royalists. In return, Egypt agreed to withdraw its forces within a year. King Faisal reversed his hostile position towards Nasser shortly prior and after the 1967 war. He expressed his full support for Nasser and sent about 20,000 Saudi troops to Jordan prior to the war. During the war and starting from June 6, 1967, all Saudi oil exports to Britain and the United States were suspended. The consequences of the war convinced him to increase his support for Nasser. The Arab defeat led to the Israeli military occupation of the Egyptian Sinai Peninsula, the Palestinian territories of Gaza Strip and the West Bank, and the Syrian (Golan) Heights. King Faisal realized that Israel was posing a genuine threat to the existence of the Arab nation. In 1970, Saudi Arabia recognized the republican government of Yemen. Nasser died in the same year but Faisal continued his support for Egypt until the October 1973 war. During the war, he led the Arab oil embargo against Western nations that supported Israel. The embargo led to a sharp increase of the oil prices, which created huge amounts of oil revenues in Saudi Arabia and other oil-exporting countries, inside and outside OPEC. Following the 1973 war, King Faisal championed the cause of the liberation of Jerusalem from the Israeli occupation. Despite his support for the Palestinian cause, he did not allow any PLO official presence in the country. Instead, he allowed Fateh to be the only Palestinian resistance group, which is allowed to operate in the country. When King Faisal was assassinated in 1975, he was succeeded by his brother, King Khaled, who did not support the American-brokered peace treaty of 1979 between Egypt and Israel. Saudi Arabia, like most other Arab states, believed that the treaty lacked guarantees for the Palestinian rights and was ambiguous concerning Jerusalem. King Khaled died in 1982 and was followed by his brother, Fahd. King Fahd was active even when he was a Crown Prince due to the King's sickness and old age. In 1981, Crown Prince Fahd proposed a Middle East Peace plan to the Arab Summit Conference in Fez, Morocco. He proposed that Israel withdraw from the Arab occupied territories and accept a Palestinian state with Jerusalem as its capital. In return, Arabs recognize Israel and stop the economic boycott. The plan was adopted by the conference but the Israeli invasion of Lebanon, in 1982, destroyed it. When the Iran-Iraq war broke out in 1980, Saudi Arabia and the other Gulf Cooperation Council states (GCC) supported Iraq. Most of the Arab states also supported Iraq except Libya and Syria, which supported Iran. In spite of that, Saudi Arabia continued its financial assistance to Syria, which amounted to about half a billion dollars a year. The Saudi support for Kuwait against Iraq, during the 1990 crisis and the 1991 Gulf War, may be explained by the common history and interests of the two royal families. Al-Saud family owes Al-Sabah family their support in restoring the Saudi rule in Nejd at the beginning of the 20th century. Thus, when Saudis gave Al-Sabah family their support in restoring its rule over Kuwait, they were paying back a century-old debt. Both ruling families were also encouraged to do so by their common Western allies, Britain and the United States. Although the Saudi rule in Arabia was established on basis of an alliance between the Saudi royal family and the Wahabi movement, the warriors of the movement posed a serious threat to the Saudi rule in the 1920s. Various groups of religious opposition posed a serious challenge to the absolute rule of the ruling family during the second half of the 20th century. Kuwait also felt the impact of the Ikhwan, in the 1920s, as well as the influence of the Islamic groups in the 1990s. These were encouraged by the government to counterbalance the influence of Arab nationalists, in the 1980s. After the 1991 Gulf War, Islamists gained more influence in the Kuwaiti parliament in a way that embarrassed the government several times. Several Islamic groups, also, have been in the opposition to the Saudi government, since 1990. Thus, while both royal families benefited from the influence of Islamic groups, at certain times, they cannot underestimate the weight of Islamists in the opposition. The oil wealth and its impact on both societies made them face similar problems, which were addressed with a common vision. In particular, both royal families followed the same strategy of limiting direct access to the oil wealth to the smallest number of people possible. To achieve that goal, they denied the vast majority of immigrants the right to become citizens or even permanent residents. This policy has led to the discrimination against immigrants and minorities and enabled the two royal families to gain more support from citizens who benefit from the status quo. However, the demographic problem in Saudi Arabia and Kuwait will continue as long as the two countries ignore the rights of immigrants. Whether foreign workers come from East Asia or from the neighboring Arab states, they are discriminated against, poor, and segregated from citizens. At the time of the Iraqi invasion of Kuwait, on August 2, 1990, Saudi Arabia and Kuwait were absolute monarchies. As a result, in facing the Iraqi invasion, the two governments did not depend on popular support from their populations. Rather, it was the Western support from Britain, France, and the United States that they counted on. The Western powers could not say that they went to war to defend democracy in Arabia. Rather, they were defending their own interests and the discriminatory policies of the two governments. Thus, it was really a unique kind of friendship between the Western and Arab ruling elites. It is a deal through which the ruling elites in the Middle East provide the West with the cheapest oil possible, in return for assisting them and maintaining their stability. Indeed, at the time of the Iraqi invasion, the Emir of Kuwait was ruling the country by decree, since he had dissolved the Parliament in 1986. The Saudi King was also ruling by decree as he still does. Several attempts by the intellectual and religious opposition groups to introduce some democratic reforms had failed. Prince Talal and his supporters could not persuade successive Saudi kings to adopt any constitutional reforms. Only after the Gulf War, King Fahd agreed to establish an appointed Consultative Council. However, the increasing number of active opposition groups proves that people aspire for much more than that. They look for real democratic participation in the political process through direct elections. Thus, the two monarchies shared several similarities, challenges, and common interests that made the Saudi decision to support Kuwait more probable than taking a neutral stance. However, the Saudi decision was not purely attributed to these similarities and the historical relations with the Kuwaiti royal family. Rather, the American and British positions against the Iraqi invasion played a major role in persuading King Fahd to oppose it, as demonstrated in Chapter VI and Chapter VII. Shaikh Muhammed Bin Abdul Wahab): Mother of Faisal. Naif, Salman, Ahmed, Abdul Rahman, and Turki. 7. Fahda Bint Assi Shuraim: Mother of Abdullah. 8. Bazza: Mother of Nasser, Bander, and Fawaz. 10. Bushra: Mother of Mishari. 11. Bint Sha'alan: Mother of Mamdooh, and Mash-hoor. 12. Seyida: Mother of Hathelool. 13. Baraka: Mother of Mukrin. 14. Fatima: Mother of Hammood. * Source: Shamiyeh (1989: 144-145). However, Mackey(1987: 193-94) mentioned that he had 22 wives and 45 sons. 1. Saud Bin (son of) Muhammed (1725-1745). 2. Muhammed Bin Saud (1745-1765). 3. Abdul Aziz Bin Muhammed (1765-1803): assassinated. 5. Abdullah Bin Saud (1814-1818): arrested and killed. 6. Mishari Bin Saud (1819-1820): assassinated. 7. Turki Bin Abdullah Bin Muhammed (1824-1834). 8. Mishari Bin Abdul Rahman (1834). 9. Faisal Bin Turki (1834-1838): imprisoned in Egypt. 10. Khaled Bin Saud (1838-1841): appointed by Egyptians. 11. Abdullah Bin Thunaiyan (1841-1843). 12. Faisal Bin Turki (1843-1865). 13. Abdullah Bin Faisal (1865-1871): forced out of power. 14. Saud Bin Faisal (1871). 15. Abdullah Bin Faisal (1871-1873). 16. Saud Bin Faisal (1873-1875). 17. Abdul Rahman Bin Faisal (1875): conceded to Abdullah. 18. Abdullah Bin Faisal (1876-1886). 19. Abdul Rahman Bin Faisal (1889-1891). 20. Abdul Aziz Bin Abdul Rahman (1902-1953). 21. Saud Bin Abdul Aziz (1953-1964): deposed. 22. Faisal Bin Abdul Aziz (1964-1975). 23. Khaled Bin Abdul Aziz (1975-1982). 24. Fahd Bin Abdul Aziz (1982-Present). * Sources: Shamiyeh (1989); Rush (1987); Al-Said (1979); Aramco (1968: 48). ** Mackey (1987: 292); Shamiyeh (1989: 292-293).
. For many Arabs, particularly in pastoralist and agricultural communities, a big brother is expected to perform the major functions of the father as a provider and protector. Therefore, the status of the eldest brother is very important and very respected. It is in this sense the term is used in this chapter. Apparently, it is not the same concept that George Orwell used in his famous work, "1984," in reference to the government as the big, watchful, and heavy-handed brother.
. The word "shaikh" in Arabic may mean a tribal chief, a religious scholar, or an elderly man.
. Hadith is the second source of the Islamic teachings, Qur’an (Koran) is the first. It is defined as the tradition of the Prophet Muhammed in the form of sayings, actions, or approval.
. The Four Imams are Al-Shaf'i, Bin Hanbal, Malek, and Hanafi. They represent the four major schools of explaining the Sunna, or tradition.
. Joudah (1964: 19); Aramco (1968: 46); Shamiyeh (1989: 31-32).
. Al-Saud ruling family goes back to Saud Bin Muhammed, who ruled Dir'iyeh, Riyadh, between 1720 and 1725. He is Saud Bin (son of) Muhammed, Bin Muqrin, Bin Murkhan, Bin Ibrahim, Bin Musa, Bin Rabi'a, Bin Mani, Al-Muridi (Shamiyeh, 1989: 27-31).
. An "imam" may be an Islamic scholar, a leader in prayers, or an Islamic head of state. Kings of Saudi Arabia are still referred to as imams when they are mentioned during Friday prayers.
. Joudah (1964: 19-22, 117).
. Shamiyeh (1989); Al-Said (1979).
. The 1840 London Agreement was reached between Egypt, on one side, and the Ottoman, Austrian, British, Prussian, and Russian governments, on the other. These governments saw the expansion of the Egyptian Empire as a threat to their interests in the Middle East. Egypt accepted withdrawal from Arabia and Syria in order to avoid war with these countries that may threaten the independence of Egypt itself (Shamiyeh, 1989: 56).
. Dickson (1956: 125); Joudah (1964: 34-39, 117); Shamiyeh (1989: 46, 54-56).
. Dickson (1956); Jourdah (1964); Al-Said (1979); Shamiyeh (1989: 114-116).
. The first Saudi state was established about 1744 and ended with the completion of the first Egyptian campaign, in 1819. The second Saudi state started in 1820, according to Al-Said (1979), and ended in 1887, according to Shamiyeh (1989), when the Rashidites captured Riyadh. The third, or modern Saudi state, has started when Abdul Aziz restored the rule of Al-Saud over Riyadh, in 1901 (See Appendix 2.B).
. Dickson (1956: 138-39); Joudah (1964: 123-124).
. That was Dickson’s story (1956: 138-139). However, Al-Said (1979: 63-66) mentions a different story narrated by John Philby. Abdul Aziz left Kuwait with 250 followers, in August 13, 1901. They reached the outskirts of Riyadh on August 19 where they stayed in Al-Shamsiyah date-palm gardens owned by a member of Al-Shaikh family. In the following day, 20 of them led by Abdullah Bin Jelawi left to Riyadh. They stayed in the house of one of Ajlan's wives, who was a relative of Abdul Aziz. They planned to kill Ajlan when he would come out of the fort, but he did not come that night. As a result, they changed the plan and went to the fort pretending as guests waiting for him to get out. He had the habit of getting out of the fort everyday to check on his horses. When he came out, they shot and killed him. The guards closed the door and shot back at the Saudis. At that moment, the rest of the Saudis, including Abdul Aziz, arrived and participated in the attack on the fort. The guards surrendered and Abdul Aziz was declared as the Imam and ruler of Nejd. In a third story, Shamiyeh (1989: 121-22) mentions that Mubarak Al-Sabah provided Abdul Aziz with 40 camels, 30 rifles, 200 rials, and food supplies. and its allies, like the Rashidites.
. Al-Said (1979: 160-62); Shamiyeh (1989: 137-140).
. Dickson (1956); Joudah (1964); Al-Said (1979); Shamiyeh (1989: 137- 138).
. Dickson (1956: 250-257); Joudah (1964: 116-139).
. Dickson (1956: 148-155); Joudah (1964: 139-147).
. Al-Zakah (Zakat) is the Islamic annual charity. It is an individual duty that represents 2.5 percent of annual savings. In the absence of a declared Islamic state, it is spent directly by giving it to the poor and the needy. However, when an Islamic state is declared, the head of the state is expected to collect the Zakat and spend it according to the Islamic Law.
. Dickson (1956: 243-44, 249).
. “Sherif” was the title of the Hashemite ruler of Hijaz, Hussain Bin Ali. It referred to his noble origin as a descendant of the Prophet.
. Shamiyeh (1989: 150, 198-204).
. Al-Said (1979: 210, 308-321); Shamiyeh (1989: 195, 201).
. Bin Sultan (1955: 410-11). Demographic data about Saudi Arabia are hard to get since there was only one census, conducted in 1976. The government behaves as if the numbers of Saudis and non-Saudis are state secrets. In 1982, there were 70,000 workers from Pakistan, 100,000 from India, 100,000 from Korea, 70,000 from Thailand, and 30,000 from Sri Lanka (Johany et. al., 1986: 94).
. Mackey (1987: 360-67). U.S. Department of State human rights annual reports (1993-1999).
. Shamiyeh (1989: 303). U.S. Department of State (1998).
. U.S. Department of State Human Rights Annual Reports (1993-1999). Aburish (1995) mentioned that it was Shaikh Zayyed of the U.A.E. who started the embargo, then other leaders followed.
. Mackey (1987: 32-33, 184). Aburish (1995: 4); Department of State Human Rights Annual Reports (1993-1999).
. Assassination was not unusual for ending the rule of an Amir, during the first and second Saudi states (See Appendix II.B).
. King Abdul Aziz had 35 sons from his 14 wives (See Appendix II.A). In competition for influence, princes may form matrilineal groups. Thus, full-brothers kept closer ties vis-a-vis other groups of half-brothers. Until now, each King came from a different matrilineal group and Prince Muhammed and his supporters wanted to keep this tradition.
. Faour (1993: 43-45); Mackey (1987: 206).
. U.S. Department of State Human Rights Annual Reports (1993-1999); Mackey (1987: 218-221, 282). U.S. Department of State Human Rights Annual Reports (1993, 1996).
. Al-Said (1989: 97, 144-50, 209-210, 251-256).
. The Hijra calendar started during the Caliph Omer's term of office, commemorating the Prophet's immigration (Hijra) from Makkah to Medina. Mahdi, be called Muhammed Bin Abdullah as the Prophet was called. Thus, the first requirement of the Mahdi is that his first name is Muhammed and his father’s name is Abdullah. Muslims are expected to support Al-Mahdi, the guided one, whenever he appears. He will be the leader of Muslims when Jesus Christ comes back to Earth. He receives the Messiah in Al-Aqsa Mosque in Jerusalem and leads the believers, including Jesus Christ, in a prayer there. Thus, the concept is of great importance for the faithful who are ready to follow the Mahdi whenever and wherever he appears. In 1881, a self-proclaimed Mahdi led the faithful Sudanese in battling the invading British colonial army, defeated it, and killed its commander, General Gordon. However, he was soon killed and his army was defeated by the British (Buchan, 1986).
. Mackey (1987: 229-236); Shamiyeh (1989: 458-461).
. The early Islamic state established by the Prophet Muhammed was a popular republic. When the Prophet died, Muslims elected his companions Abu Bakr, Omer, Othman, and Ali, respectively. These caliphs, successors, were not related to each other and they were elected to the office on basis of personal characteristics, not kinship ties. Thus, the first Islamic state, which is considered by Muslims as the best example to be followed, was not a monarchy. However, it was soon followed by the Umayyad and Abbasid monarchies, which continued for centuries. It follows that some Muslim fundamentalists may oppose monarchies and others may support them, using these historical precedents. Actually, the Wahabi fundamentalists were loyal followers to the Saudi royal family until 1929 when they revolted against King Abdul Aziz. After crushing their rebellion in 1930, they were co-opted again by extending benefits to them and giving their leaders and relatives positions in government.
. Shamiyeh (1989: 280); Holden and Johns (1981: 280-283).
. Shamiyeh (1989: 246-248, 312, 468-471). Aburish, (1995: 5-6, 44, 113-115), Aburish (1997: 44). Sa’ad Al-Faqih broke away from the CDLR in March 1996 (U.S. Department of State human rights annual reports, 1996, 1998). U.S. Department of State Human Rights Annual Reports (1994-1998). U.S. Department of State Human Rights Annual Reports (1994-1995). U.S. Department of State Human Rights Annual Reports (1995). U.S. Department of State Human Rights Annual Reports (1999). U.S. Department of State Human Rights Annual Reports (1993-1999). U.S. Department of State Human Rights Annual Reports (1993). Shamiyeh (1989: 269-275); Holden and Johns (1981:196-197).
. Shamiyeh (1989: 247-250); Holden and Johns (1981: 200-204).
. Holden and Johns (1981: 223-240).
. Shamiyeh (1989: 251-255); Holden and Johns (1981: 223-240).
. On September 10-14, 1960, Iran, Iraq, Kuwait, Saudi Arabia, and Venezuela founded the Organization of Petroleum Exporting Countries (OPEC). Then, many other Arab and non-Arab oil-exporting countries joined the organization.
. The Council was first established in 1976 by Bahrain, Oman, Qatar, Saudi Arabia, and the United Arab Emirates. But it took a more developed form when Kuwait joined it on May 25, 1981 (KMI, 1986: 15).
. Mackey (1987: 331-32, 337). Aburish (1995; 1997) argued that it is a “brutal friendship”.